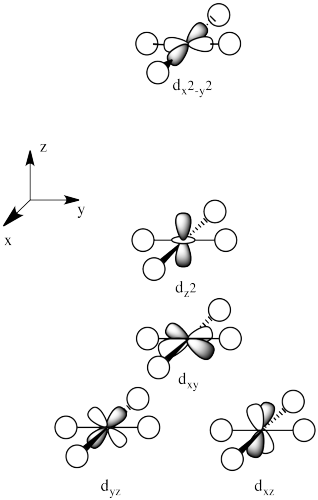 Zn(II), because it is smaller and less polarizable. K+, because it is less electronegative. Fe(III), because of the higher charge. Me3P, because phosphorus is larger and more polarizable than nitrogen. Iodide, which is larger and more polarizable than chloride. Azide, which has a more polarizable, delocalized pi bonding system. Hg(I) and Hg(II) are both large, polarizable ions. They are soft cations and should bind well to soft donors. The most common soft donor is a sulfur atom or sulfide ion; in amino acids, that suggests cysteine or methionine. Fe(III) is a hard cation and should bind well to oxygen donors. Enterobactin has several oxygen donors it could provide to the iron. In fact, there is a pair of OH groups on each of the benzene rings in enterobactin. These benzene rings with two OH groups next to each other are called "catechols." Because there are three of these groups in enterobactin, and there is enough space in between for the groups to fold around a central atom, enterobactin is a chelating (hexadentate) donor with a high binding constant. The three orbitals shown above interact a little more strongly with the ligands. The three orbitals shown below interact a little more weakly. The reason for the difference in the interaction has to do with how close the nearest lobe of a d orbital comes to a ligand. 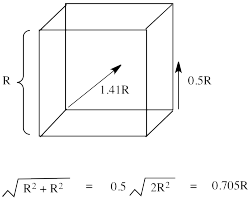 There are really two possible positions: the face of a cube or the edge of a cube. 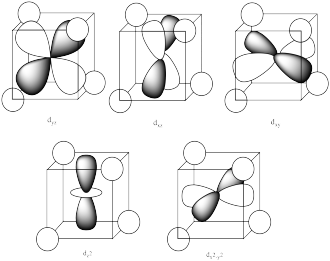 If the ligands are at alternating corners of the cube, then the orbitals pointing at the edges are a little closer than those pointing at the faces of the cube. The ligands do not overlap with the d orbitals as well in tetrahedral complexes as they do in octahedral complexes. Thus, there is a weaker bonding interaction in the tetrahedral case. That means the antibonding orbital involving the d electrons is not raised as high in energy, so the splitting between the two d levels is smaller. Because the d orbital splitting is much smaller in the tetrahedral case, it is likely that the energy required to pair two electrons in the same orbital will be grester than the energy requied to promote an electron to the next energy level. In most cases, the complex will be high spin. The orbitals are shown in order of energy. The weaker donors include halides and oxygen donors. Nitrogen atom donors are mostly a little stronger than that. The strongest donors include carbon donors, especially with pi bonds. 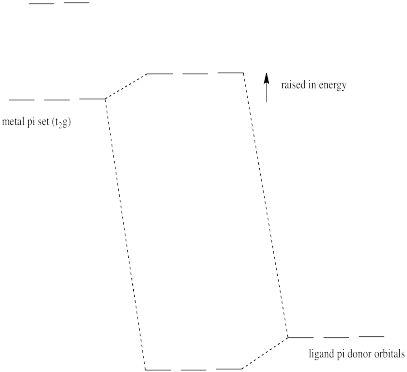 Pi donation raises the t2g electrons (the d electrons of proper symmetry for pi overlap with the ligands in an octahedral geometry). Because chloride is a weaker ligand than hydroxide, the d orbital splitting gets smaller. A d-d transition would involve less energy, so it would move to longer wavelength (red shift). The ions in LiF are both smaller than in KBr, so the force of attraction between the ions in LiF is greater because of the smaller separation between the charges. Calcium has a 2+ charge in CaCl2, whereas potassium has only a + charge, so the chloride ions are more strongly attracted to the calcium than to the potassium.